Lot of twelve assorted vintage books all carrying collectible binder and/or bookseller tickets – Nashville TN and Richmond VA. Used as a form of identification and advertising in a time of rising competition in the bookbinding world, these tickets provide a glimpse at the publishing and bookbinding activities of a city that is lost to history for the most part. 1st item: Eichbaum, Bookseller, Nashville, T. (small green ticket to front pastedown) – LEMPRIERE, J. Biblioteca Classica. New York: W.E. 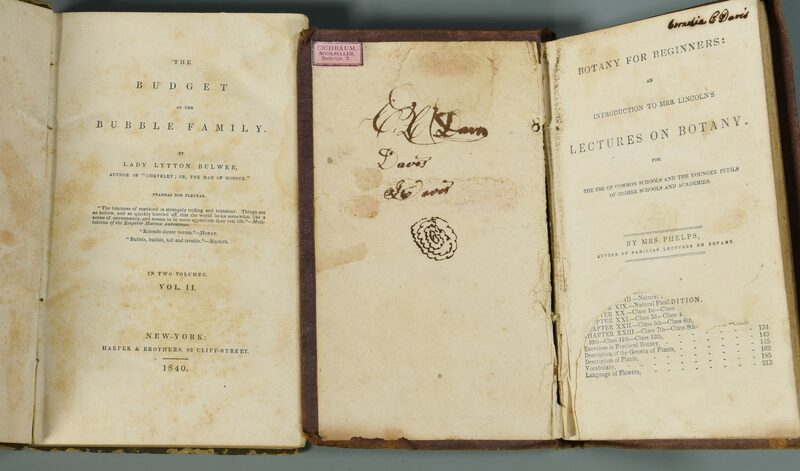 Dean, 1838. Fair condition. 2nd item: Eichbaum, Bookseller, Nashville, T. (small pink ticket to front pastedown) – PHELPS, Mrs. Botany for Beginners. Poor condition. Publishing information torn out. 3rd item: Eichbaum, Bookseller, Nashville, T. (small yellow ticket to front pastedown) – JACOBS, Frederic. 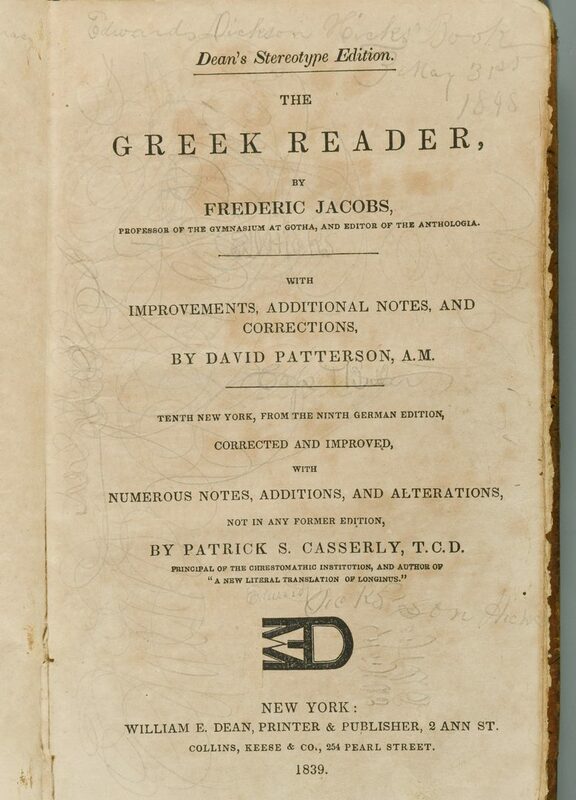 The Greek Reader. New York: William E. Dean, 1839. 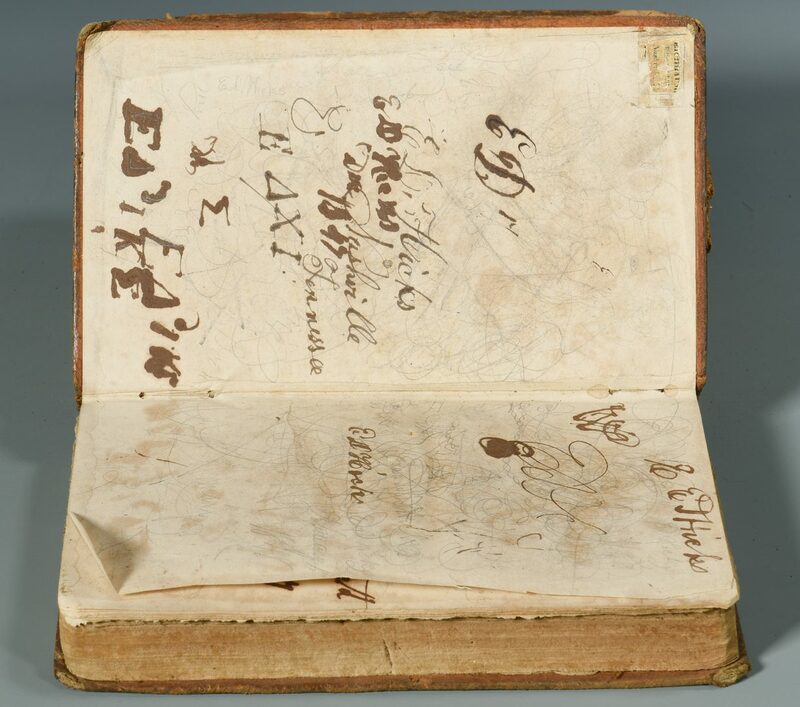 Several signatures and quite a bit of "doodling" from a young Edward Hicks it would appear. Good condition. 4th item: Eichbaum & Smith, Booksellers, Nashville, Tenn. (small blue ticket to front pastedown) – LEVERETT, Frederic. The New Latin Tutor. Philadelphia: Uriah Hunt & Son, 1845. Good condition. 5th item: Eichbaum, Bookseller, Nashville, T. (small yellow ticket to front pastedown) – ANTHON, Charles. A Grammar of the Greek Language. 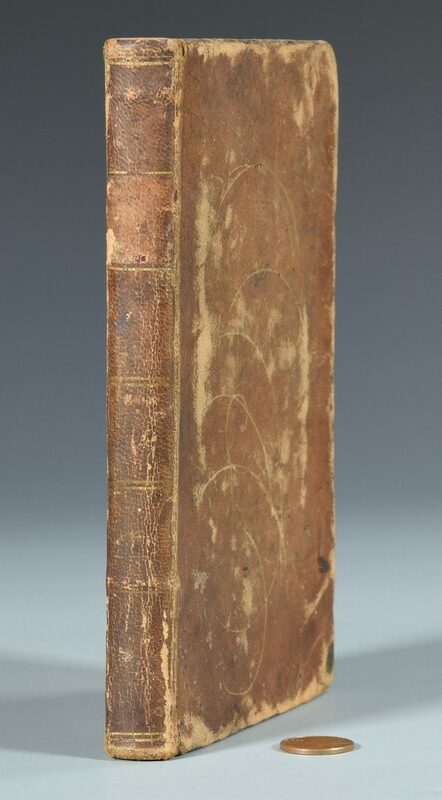 New York: Harper & Brothers, 1838. 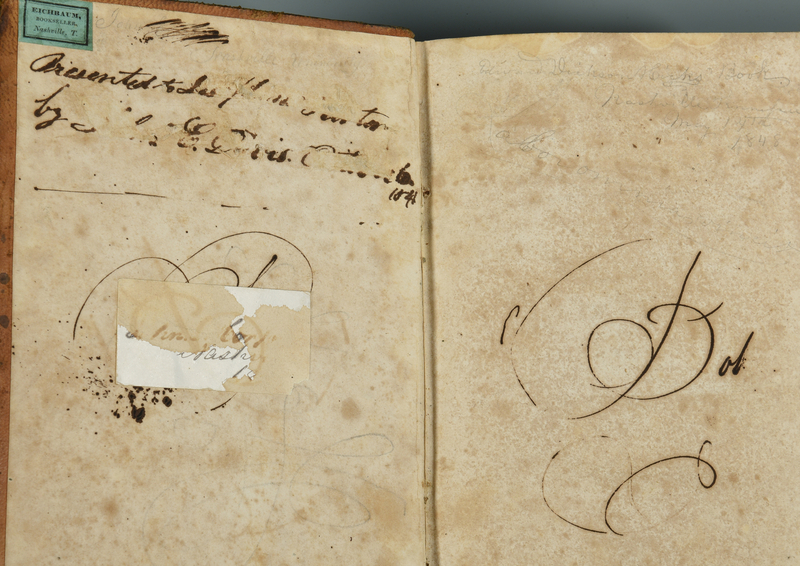 Two ownership signatures of Edward Hicks. Good condition. 6th item: Eichbaum & Smith, Booksellers, Nashville, Tenn. (small blue ticket to front pastedown) – CLEVELAND, Charles Dexter. Xenophon's Expedition to Cyrus (with map). Boston: Benjamin B. Mussey, 1844. 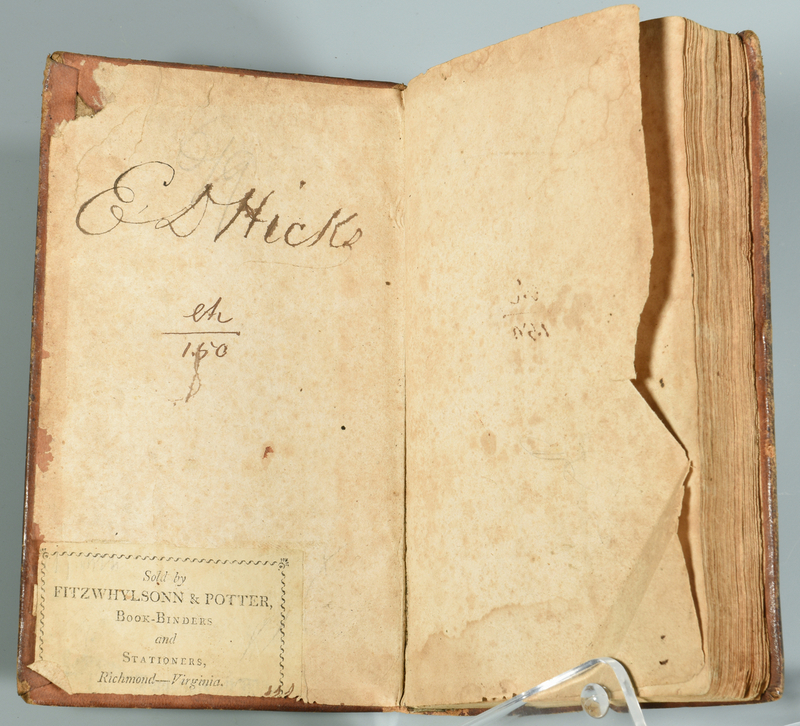 Ownership signature of Edward Hicks (dated 1848). Fair condition. 7th item: Eichbaum, Bookseller, Nashville, TN. (small yellow ticket to front pastedown) – BULWER, Lady Lytton. The Budget of the Bubble Family (Vol. II only). New York: Harper & Brothers, 1840. Fair condition. 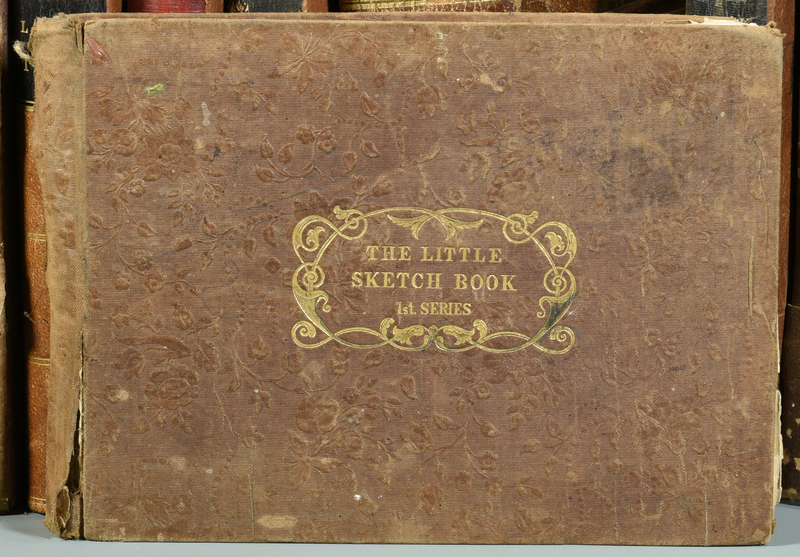 8th item: Eichbaum, Bookseller, Nashville, T. (small blue ticket to front pastedown) – The Little Sketch Book. (Publishing Information Missing). Ownership signature of Edward Davis to front pastedown. Signature of Miss Cornelia Davis to rear pastedown. Poor condition. 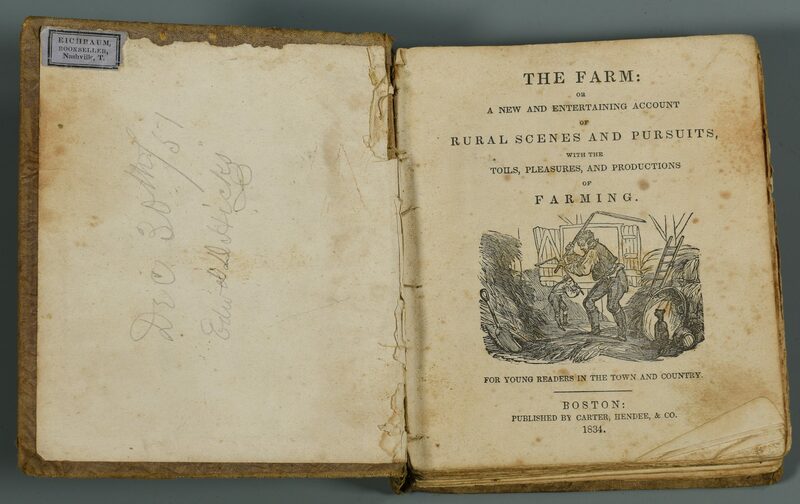 9th item: Eichbaum, Bookseller, Nashville, T. (small purple ticket to front pastedown) – The Farm: or a New and Entertaining Account of Rural Scenes and Pursuits… Boston: Carter, Hendee & Co., 1834. 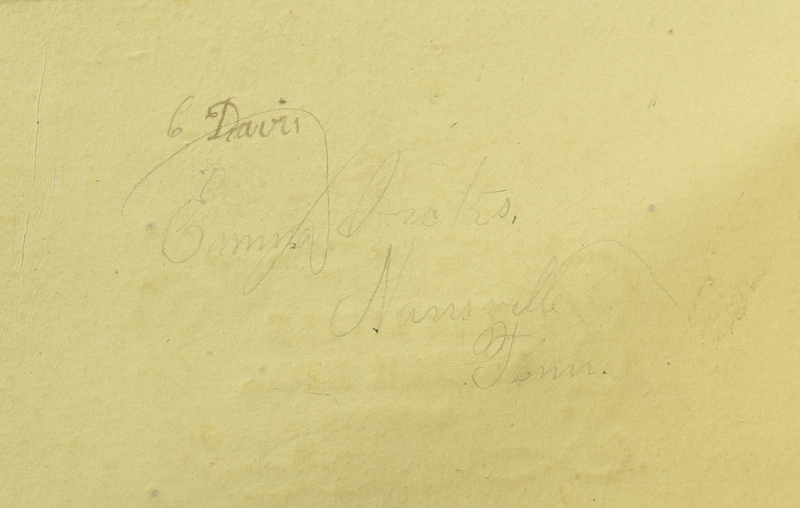 Ownership signatures of Edward Hicks, Cornelia Davis and Frank Newson. Poor condition. 10th-11th items: Eichbaum, Bookseller, Nashville, T. (small green ticket to front pastedown) – RADCLIFFE, Ann. 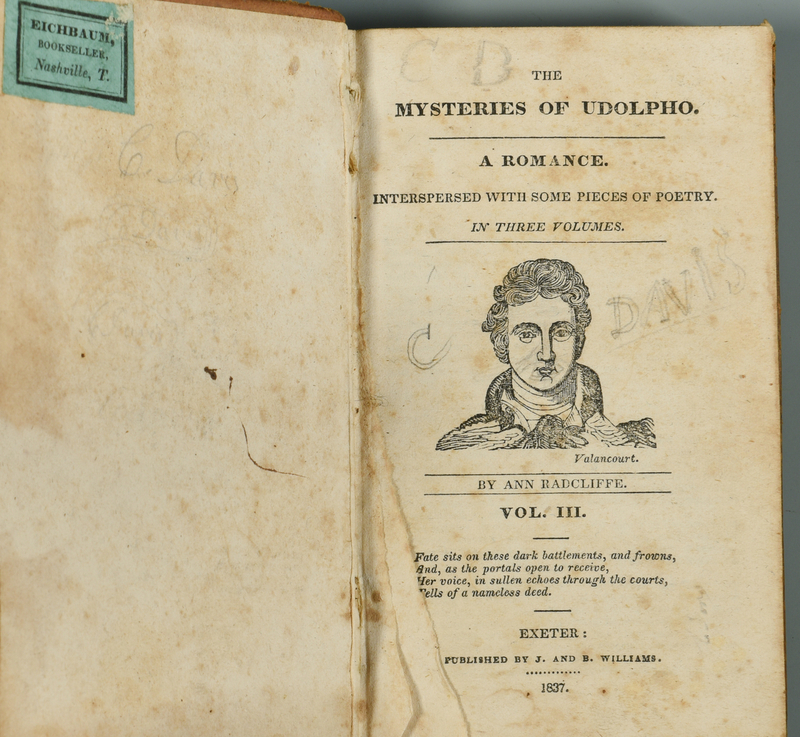 The Mysteries of Udolpho. Exeter: J. and B. Williams, 1837. 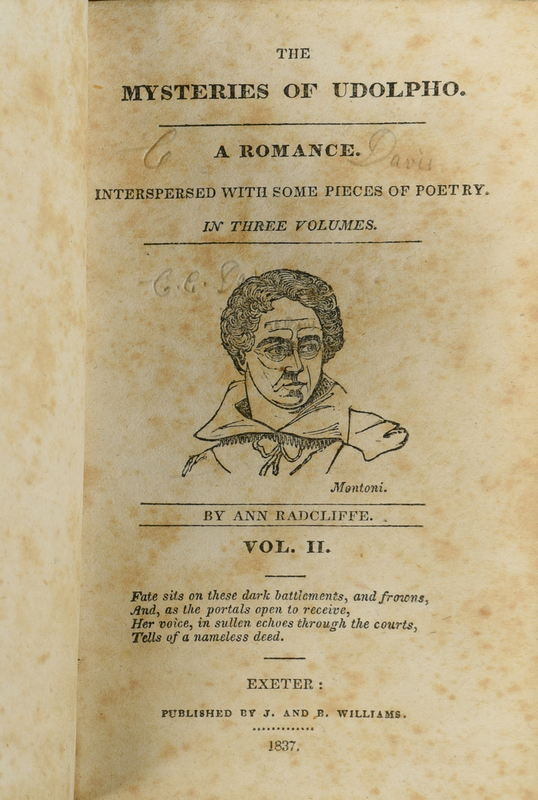 Two Volumes of three. 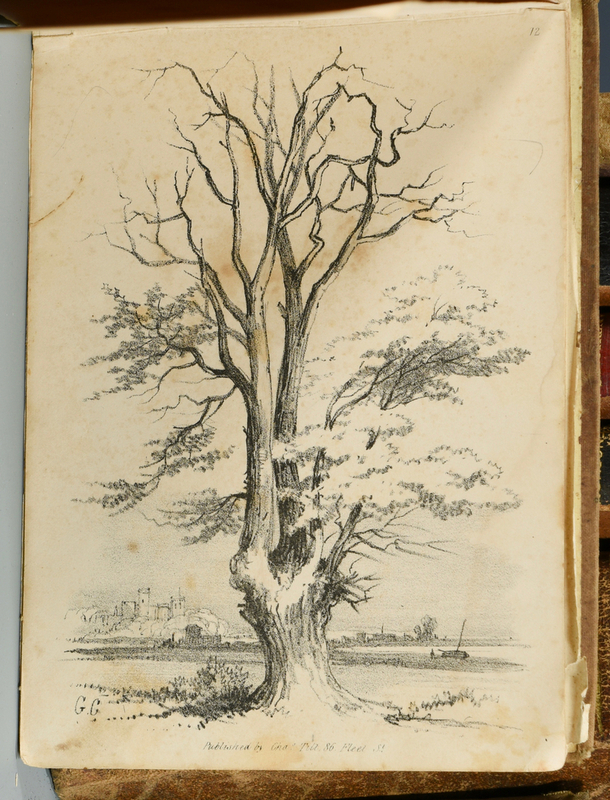 Cornelia Davis signature in pencil in rear of volume III. Fair condition. 12th item: WIRT, William; et al. 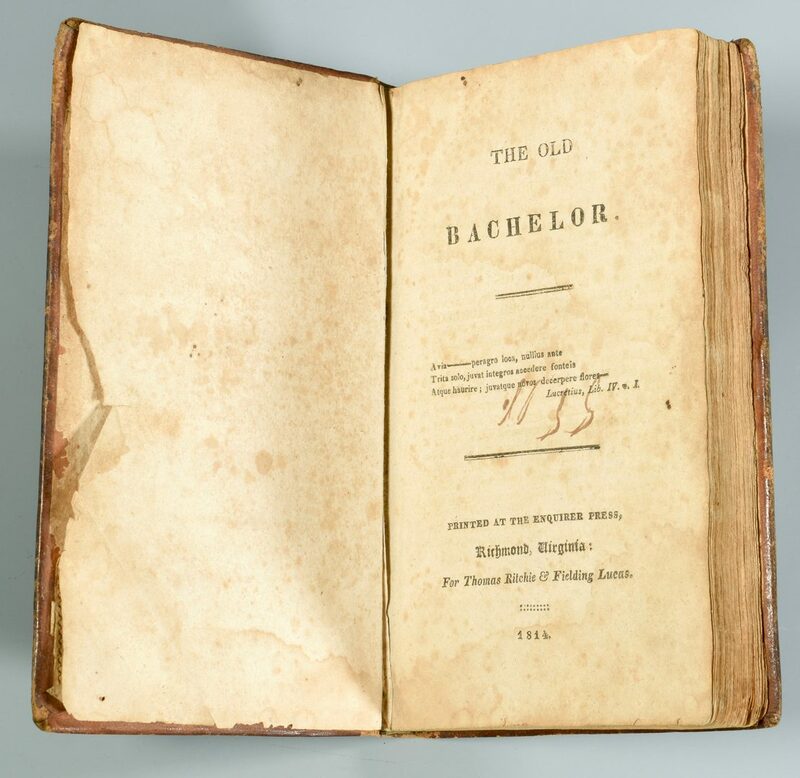 The Old Bachelor. 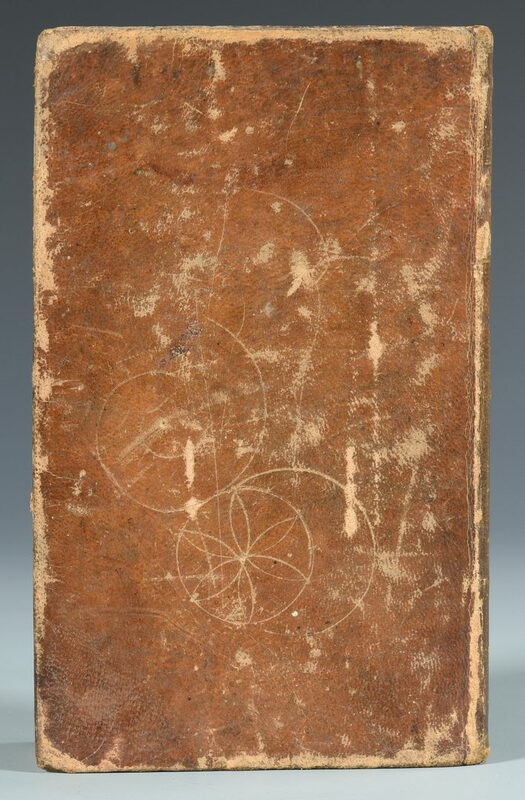 Richmond, Virginia: Thomas Ritchie & Fielding Lucas, 1814. 4 1/4" H X 7" W (Sextodecimo). 235 Pages. First Edition. Original Fitzwhylsonn & Potter Binder's Ticket to inside front board. Binder unrecorded in Spawn & Kinsella. 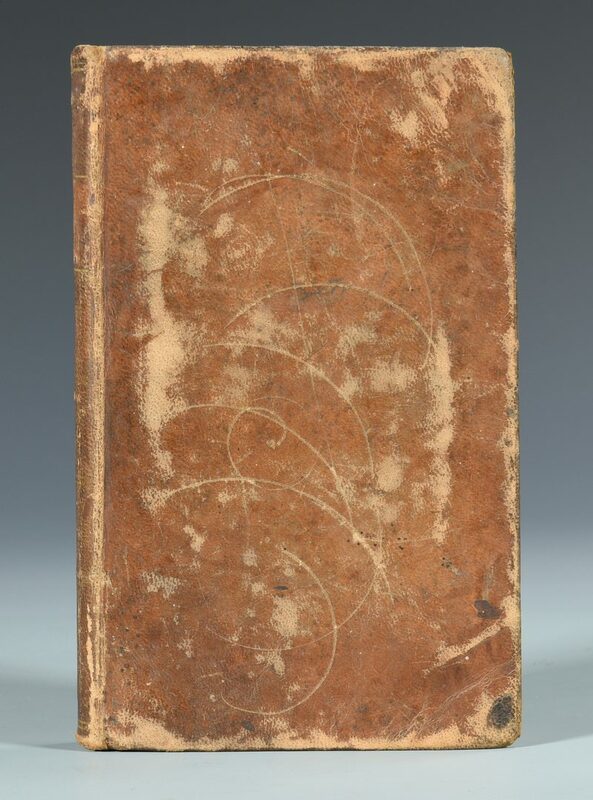 Period leather with remnants of gold gilt work on spine. Previous owner name, "E.D. Hicks" in ink on inside front board. A scarce book. Sabin, 104878. 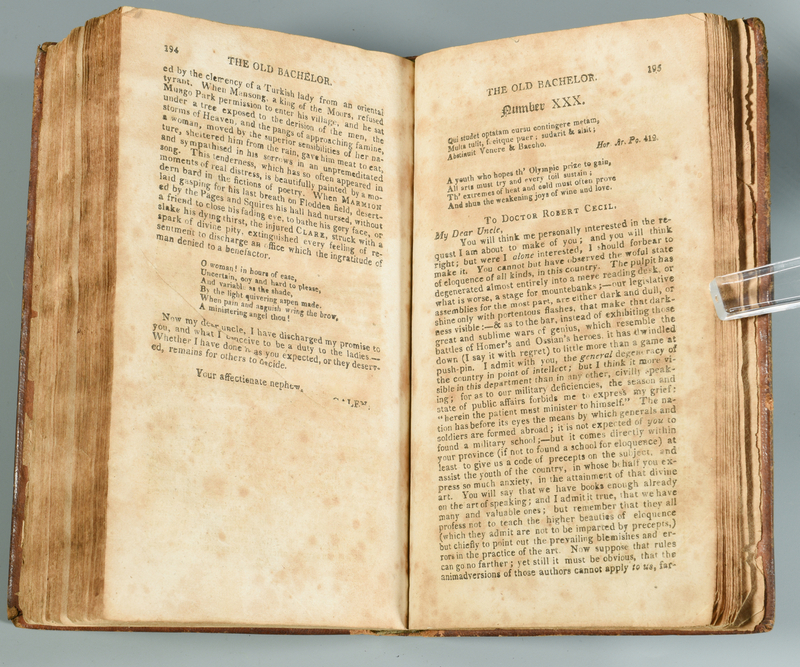 A compilation of stories originally printed in the Richmond Enquirer. Authors include William Wirt, George St. Tucker and Dabney Carr among others. 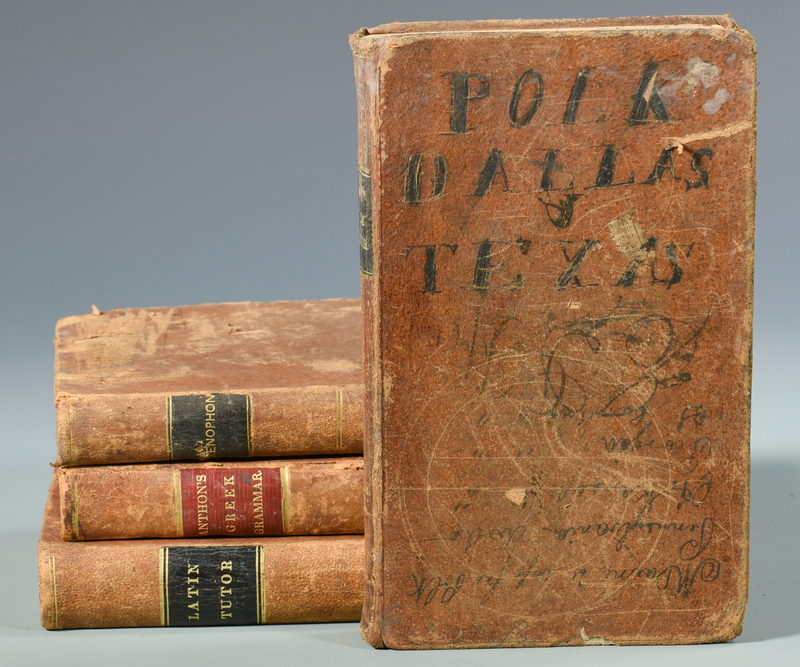 Books sizes – 5/8" H x 3" W x 5" D to 2 1/4" H x 6 1/4" W x 9 1/2" D. Provenance: the estate of Sarah Hunter Hicks Green, formerly of Historic Devon Farm, Nashville, Tennessee. CONDITION: See item description.